This tour is a memorable mix of thrilling dogsledding activities in Karelia, the northern region of Russia famous for its wild nature and exciting winter activities, and cultural exploration of the top sights of Saint Petersburg. A breathtaking kaleidoscope of impressions: fun and excitement of dogsledding in white wildness on the border of Russia and Finland, friendship of cute and cheerful huskies go together with admiration of magnificent palaces of the cultural capital of Russia, masterpieces of the Hermitage museum and the unique ancient architecture of the Kizhi island (UNESCO World Heritage sight). 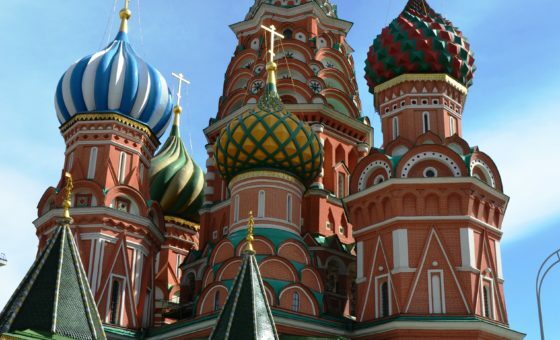 Upon arrival you will have a tour of the Cultural capital of Russia. 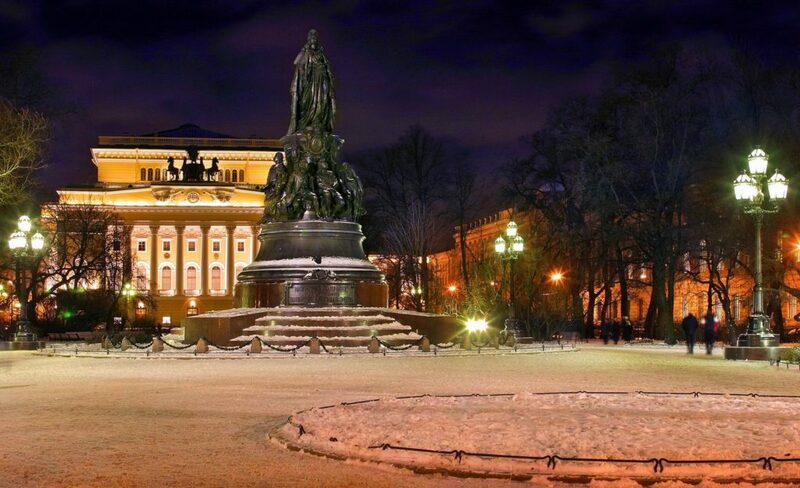 For three centuries St Petersburg has been impressing visitors from all over the world and it doesn’t take much time to fall in love this splendid city. On the way to your hotel you will admire views of magnificent palaces, cathedrals, canals and world-known theatres. Join a welcome dinner to start your introduction with some outstanding dishes of the Russian cuisine and get to know other group members and the guide. 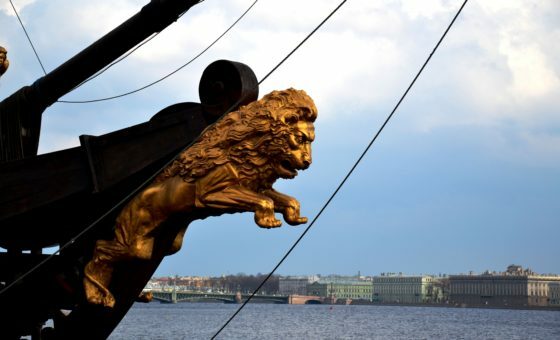 This morning will start with St. Petersburg City tour to see all must see sights of this impressive city and learn about last three hundred years of the Russian history reflected in its rich architecture. You will visit splendid palaces and cathedrals including the former principal cathedral of the Russian capital – St. Isaak Cathedral. During the tour you will have a unique opportunity to get to know the behind-the-scene life of the Mikhailovsky Theatre and discover its secrets. You will visit see how a performance is engineered and how the scenery is made, visit stage properties workshop and hear about outstanding people who worked at the Mikhailovsky Theatre – singer Feodor Chaliapin, composers Dmitry Shostakovich and Sergei Prokofiev. St. Petersburg has numerous ways to surprise its visitors and you will find your own way to enjoy it in some afternoon free time. 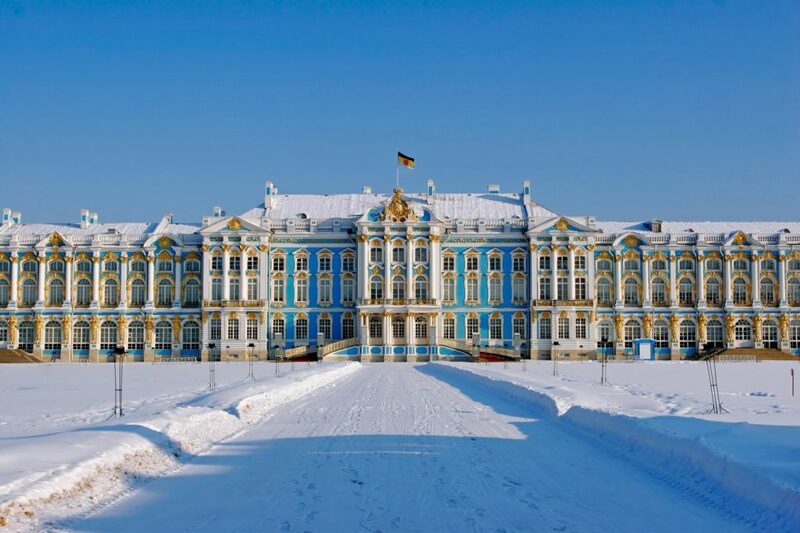 Today you will visit the world’s greatest art museum – the Hermitage, located in the baroque masterpiece Winter Palace, the residence of the Russian tsars. It boasts a collection of art from the Stone Age to the 20th century. 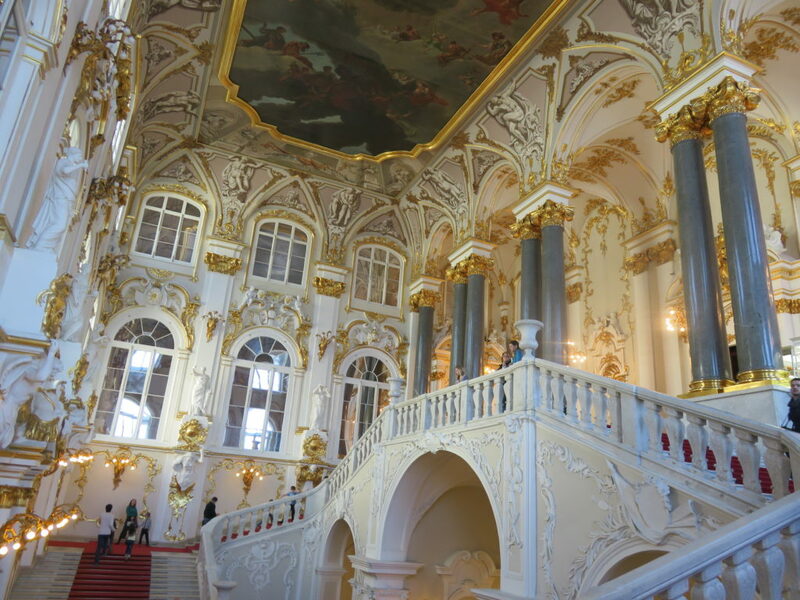 Hermitage is so large that according to expert’s calculations it will take you 9 years to look at each item of the museum collection for one minute! So, don’t get frustrated if you cant see it all, but take with you the most memories from the visit, because Hermitage is definitely a “must see” museum for any art lover. Tonight you say good bye to the Cultural Capital of Russia and take a night train to the Karelia region in the north of Russia. The next few days will be spent in Karelia region, well known for its extraordinary northern nature with dense forests, pure lakes, wild animal life and beautiful white winters. Here you will live in a comfortable countryside guesthouse located near a picturesque lake close to the biggest dog-farm in Russia. You will have a tour around the farm, currently hosting 140 Alaskan and Siberian huskies, learn about the dogs’ lives here, their breeding program and participation in prestigious dogs racings. 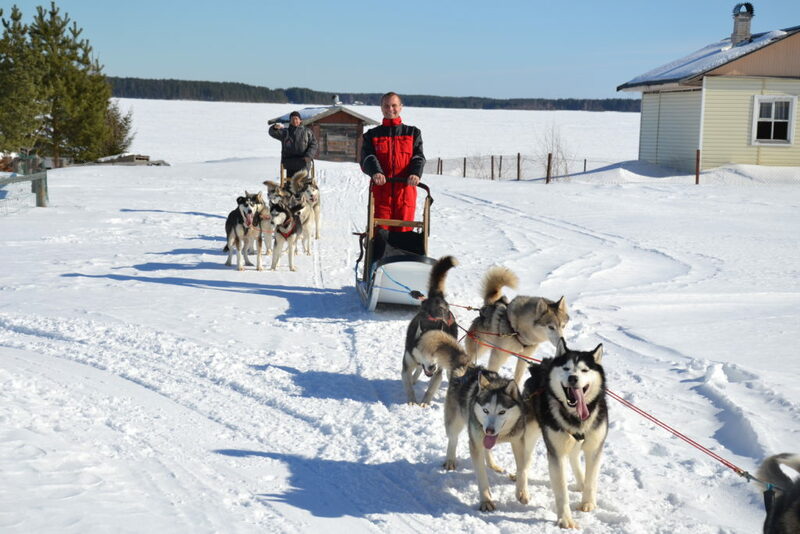 You will play with these cute and friendly dogs, feed them, learn how to prepare and ride the sled and finally have a test ride with a picnic in a forest. Morning dog sledding around lakes into the wintry whiteness of the backwoods. 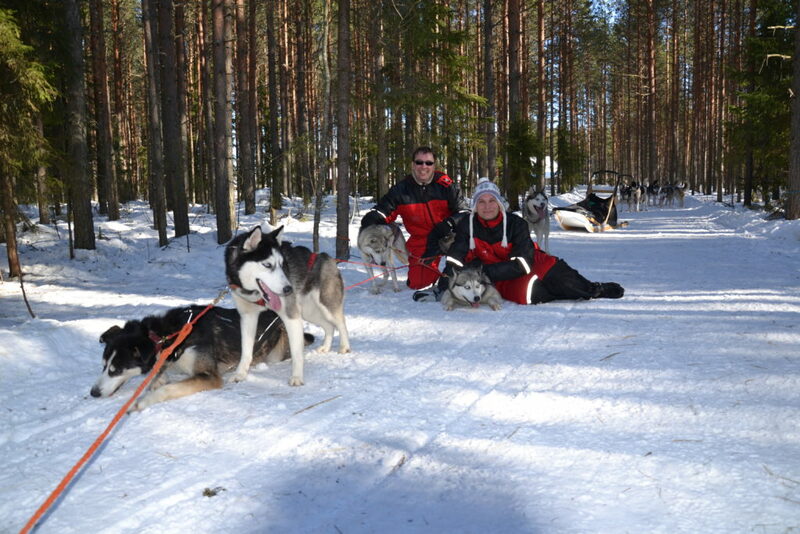 Spend today dogsledding on wild forest paths and former hunting trails and along frozen lakes and vast white fields. You will feel as if you are stepping into the shoes of Northern discovers and leaving civilization behind and relying on teamwork between humans and their best friends. 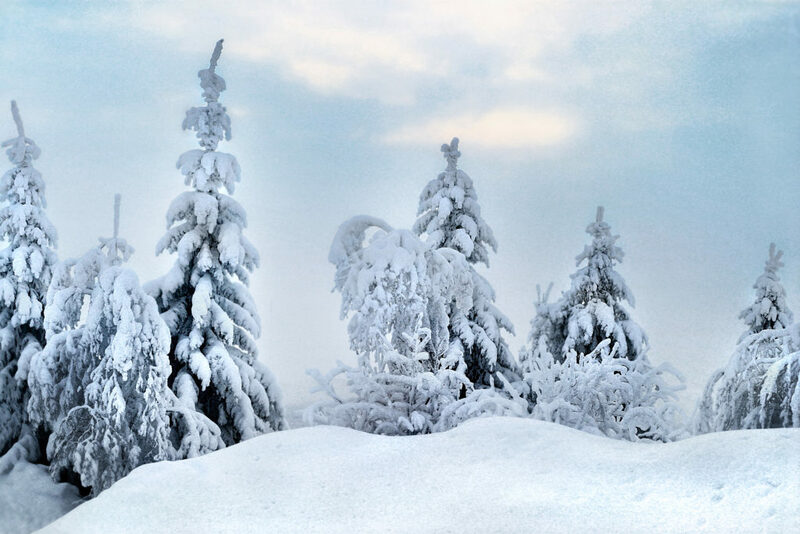 Stop for a lunch on the highest hill of the area to admire a panoramic view of the winter landscape. Don’t miss a chance to enjoy other thrilling winter activities by renting snowmobiles, going cross-country skiing or ice fishing with local fishermen. Wake up a join your four-legs friends and continue your adventures by taking them on the last exciting trip. 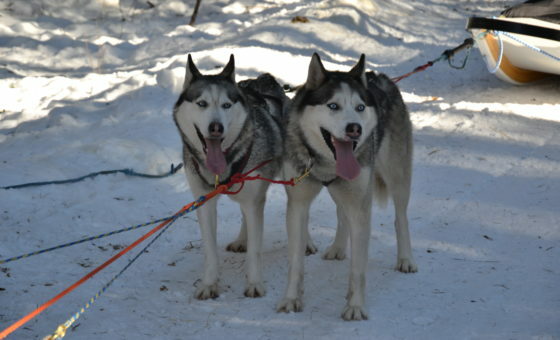 These dogs were born to run and you will share their enthusiasm and joy and immerse in an extraordinary winter landscape. In the afternoon say goodbye to the dogs by feeding them, thanking for the unforgettable experience and later depart to Petrozavodsk, the capital of Korelia region. Enjoy a walking tour of Petrozavodsk – a remarkable provincial town of Russia with diverse architectural mix of historical buildings from the 18-19th centuries, monuments of the Soviet Era and avant-garde installations of the waterfront of Onega Lake. 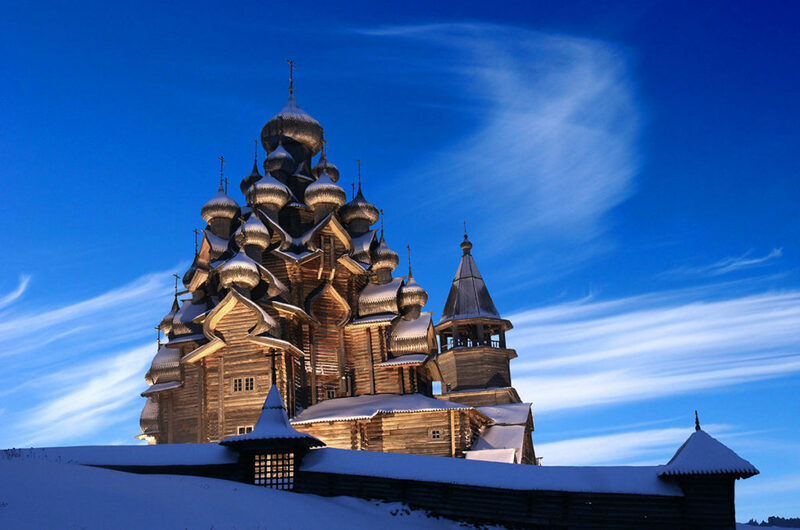 In the afternoon we invite you to an optional tour to see another extraordinary place – Kizhi island, a unique open-air museum of wooden architecture, enlisted in the UNESCO’s World Heritage List. Take a night train back to St. Petersburg. Farewell dinner at a traditional Russian restaurant; an excellent chance to spend the last evening with the new friends, share your impressions and memorable experiences while tasting caviar, borsch or Russian vodka. Your tour ends today. 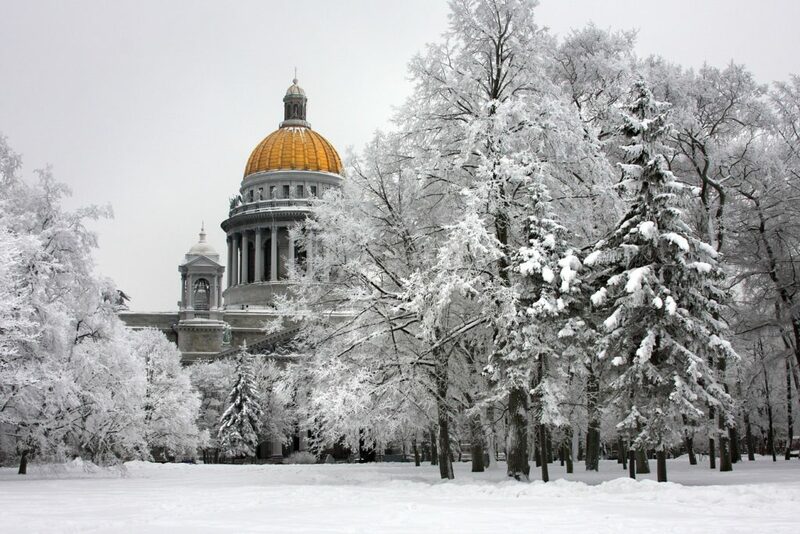 We offer an optional transfers to St. Petersburg airport.